Visitors to Latvia often think of Riga as the number one place to visit, but this fascinating country offers a wide range of charming towns, exciting attractions and spectacular sights that are well worth checking out – and, luckily, some of them are only a short drive from the capital. October is the perfect time to see Vidzeme in all its autumn glory. Every year my Facebook newsfeed fills up with amazing pictures of the beautiful natural landscapes around Vidzeme: Sigulda, Cēsis, and Valmiera. Vidzeme is the most beautiful place to enjoy a sunny autumn weekend. 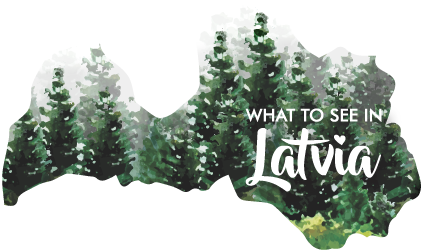 If you haven’t visited the region before, you might be surprised how many beautiful, easily accessible places Vidzeme has to offer. 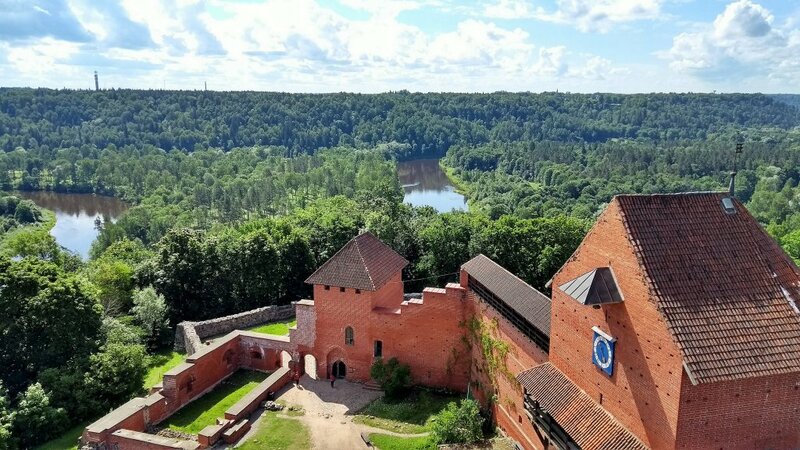 Just an hour’s drive from the capital Riga you will find Sigulda, with its breathtaking views of the River Gauja valley. Sigulda is the perfect destination for hiking, romantic walks or bike rides. There are also plenty of modern attractions designed to appeal to more adventurous travellers. You can test your strength and courage at the Mežakaķis and Tarzāns sky playgrounds, slide down a real bobsleigh run or even fly in a wind tunnel at the Aerodium. Gūtmaņala Cave. 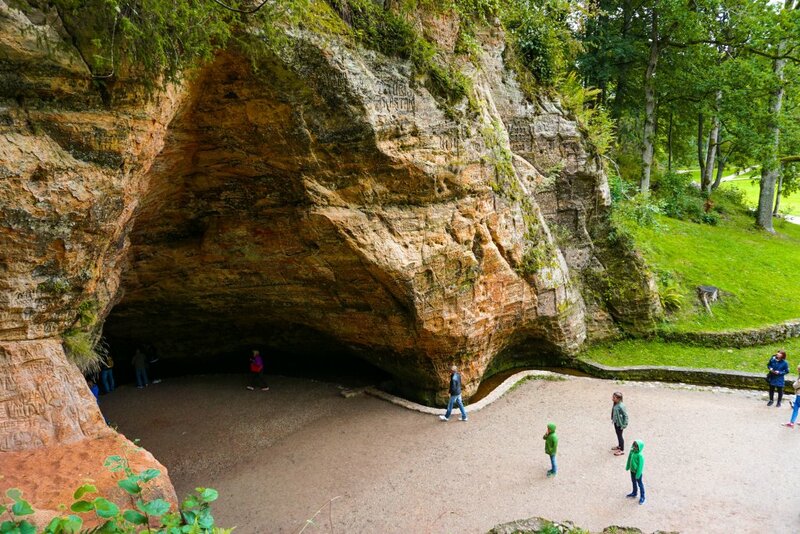 The biggest cave in the Baltic States features ancient inscriptions dating back to the 17th century. And legend has it that the spring that flows out of the cave has healing powers. 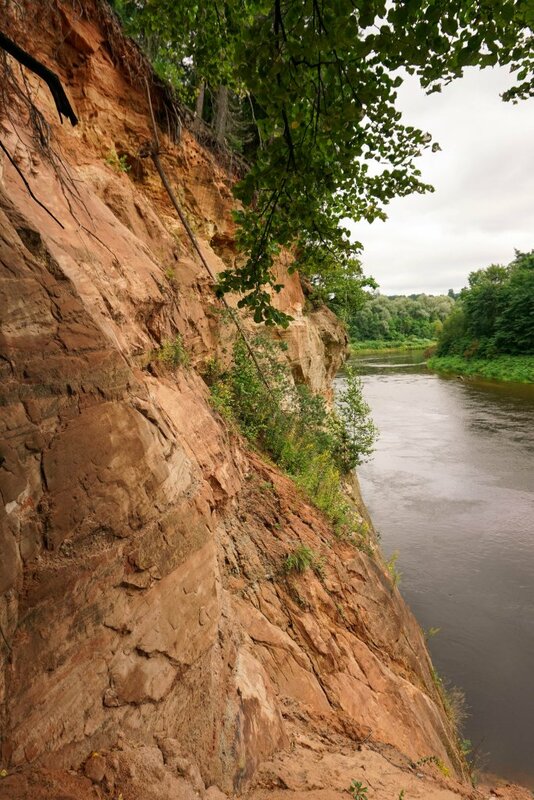 Travelers who love to explore and are not afraid of getting close to the river can snap some dramatic photos of the numerous sandstone outcrops, cliffs, and rocks on the banks of the Gauja River. 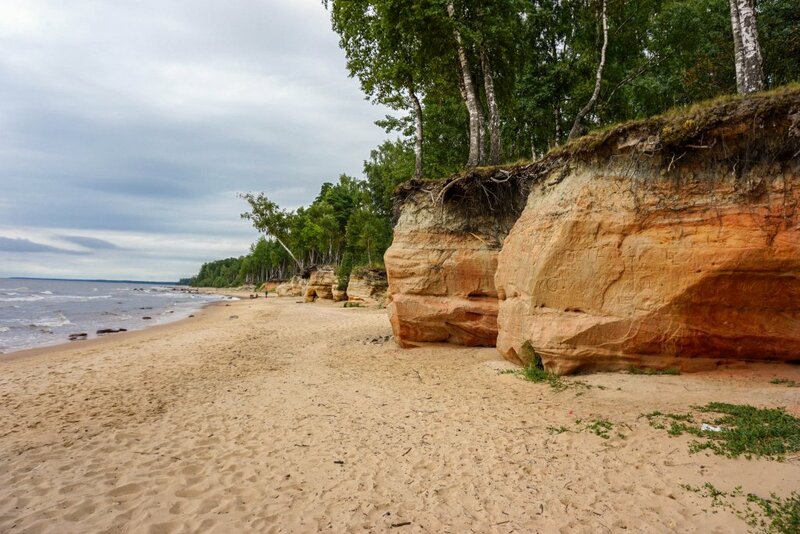 The photo below, for example, was taken at the Velnakmens cliffs. 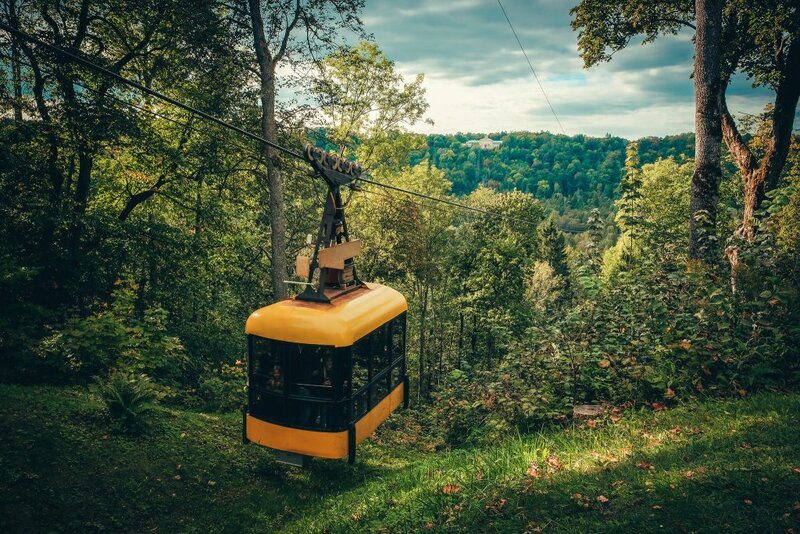 You can also take a ride on the cable car that affords fantastic views of the valley of the Gauja River, Turaida Castle, and Krimulda Manor. And for those looking for even more of an adrenaline rush, bungee.lv offers bungee-jumping from the cable car. Turaida Museum Reserve is very close to the Gūtmaņala Cave. Here you will find a remarkable heritage exhibition that charts life in Vidzeme from the 11th century. The tower offers magnificent views of the valley below. Admission fee: 5 EUR adults, 3EUR students. Another noteworthy destination. Gauja National Park protects the most beautiful section of the Gauja Valley – along the Gauja River between Valmiera and Sigulda – and is a wonderful place for weekend hiking and long walks. This is the largest and oldest National Park in Latvia and is a hiker’s heaven that features wildlife and views that will live long in the memory. The charming town Cēsis is where the ancient meets the modern. This little town has always been a popular destination for locals as well as for travellers. The town started as a Livonian Order stronghold and is now home to Cēsis Castle – a site that preserves the town’s significant cultural heritage. 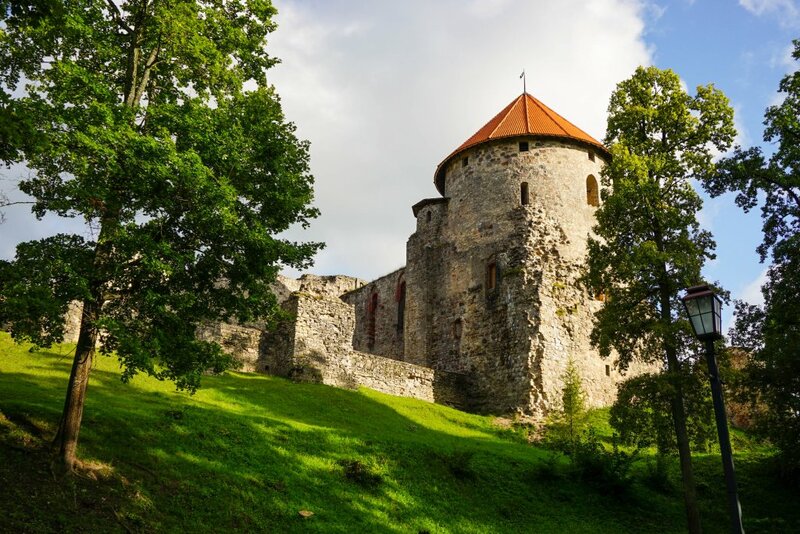 Cēsis Castle Complex also offers interesting excursions through halls that have witnessed everything from medieval feasts to battles waged against the invading armies of the Russian Emperor Ivan The Terrible. Admission fee for the medieval castle: 4 EUR adults, 2.50 EUR students. Have you ever seen black swans? Just make your way from the Cēsis Castle to the Castle Park and you will see two graceful and rather arrogant black swans that happily pose and preen for your photos. Trust me, they love attention! A lovely Neo-Baroque palace that hosts a 4-star hotel, restaurant, and eco-spa. It is also one of the most welcoming places I have visited! The host of the palace was kind enough to take time to tell us about the history of the palace and even showed us a photo album charting the castle’s latest renovations. The restaurant serves a delicious coffee and food, making the palace well worth a visit place even if you’re not planning to stay overnight. 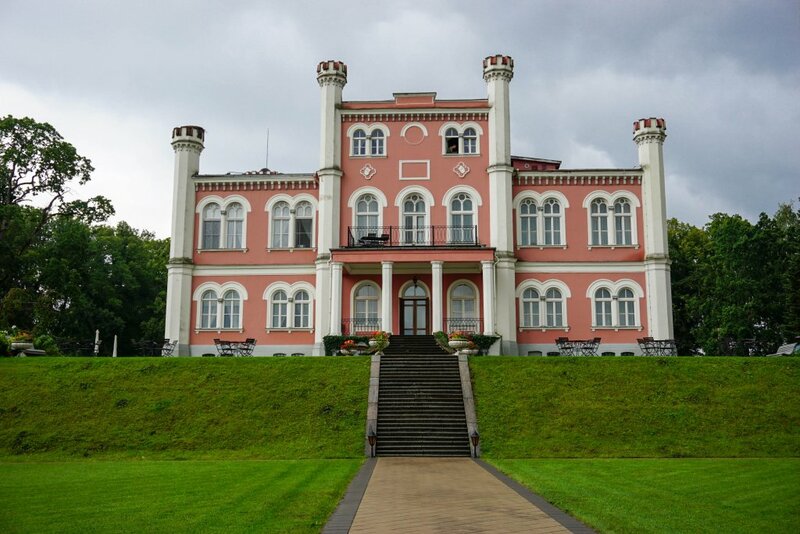 Located in a beautiful place near the lake, the Neo-Gothic Bīriņu Manor reminds me of a fairytale castle. During the spring, summer and early autumn it is possible to rent boats and take a tour around the lake. Or perhaps you’d prefer to rent bicycles or even ride horses. A really nice place for a peaceful walk through charming sights. You can stay overnight in the castle or in the guest house, or just explore the castle and the surroundings. 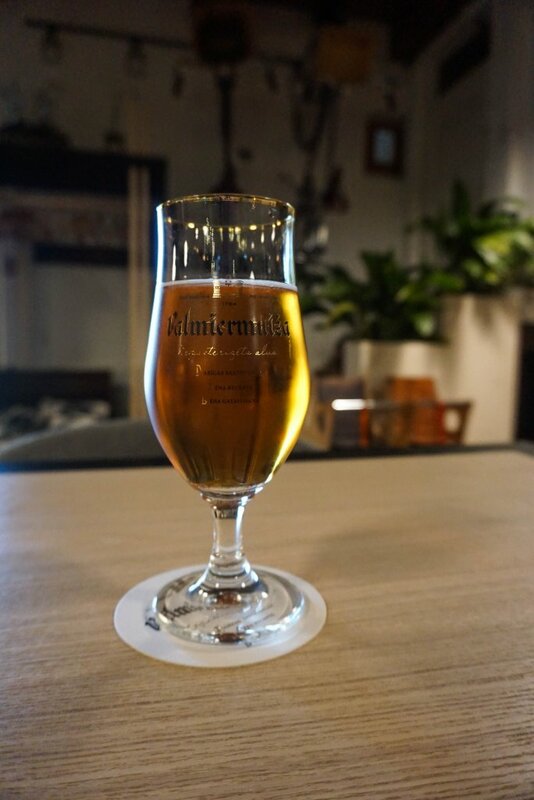 This cozy place in Vidzeme is all about good vibes and is very popular among the locals for its truly excellent Latvian beer – non-filtered and authentic (you cannot buy non-filtered beer in a shop, so this is your chance to try some). There is regular live music on offer and the view from the terrace is amazing (if it’s warm enough to risk sitting outside!). 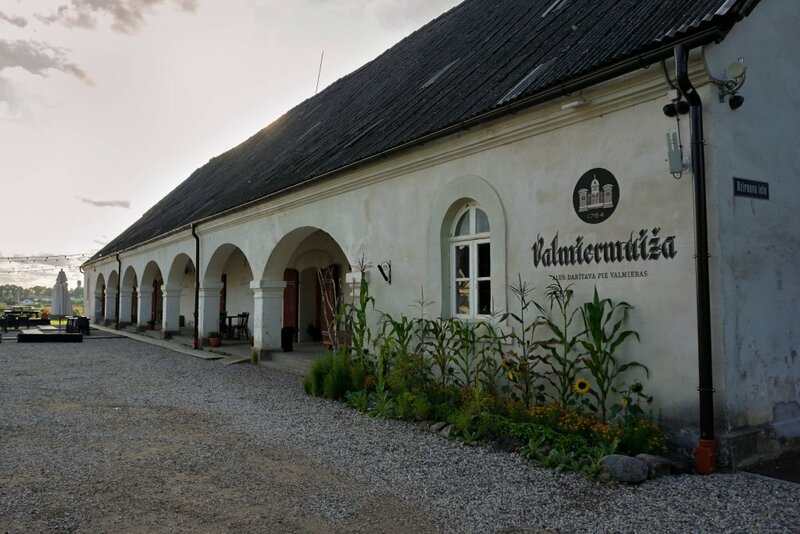 The brewery also houses a lovely souvenir shop where you can buy authentic Latvian products from wines, beers, sweets to clothing and cosmetics. You can also book a tour of the brewery. Because it is a small brewery you can get really close to the process of beer-making. 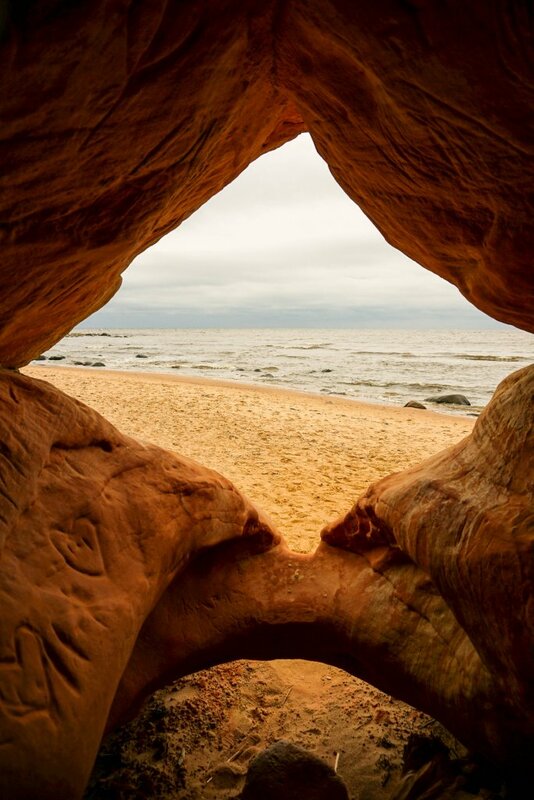 This beautiful beach with its red, orange and brown cliffs and roomy caves is definitely a secret gem. I can promise you amazing sights and quirky pictures.